Do you remember the quilt I made where I embroidered Henry instead of Harry? Well I made a replacement for Harry, but still had a Henry quilt that was more or less homeless. There have been several comments since when I have embroidered a name on anything, and to be fair they were justified, but I am very happy to say that a really good friend of mine became a grandma yesterday - and the baby is being named after grandad . 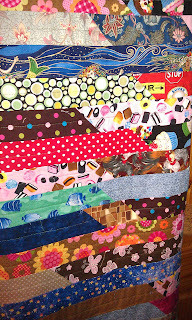 . . and while we all call grandad 'Harry', he is really Henry, as is the baby, so the quilt now has a home to go to! I spent most of the weekend getting stressed about my impending Adult Education OFSTED inspection (which didn't happen today, grrrr) but I did manage a bit of therapeutic sewing. 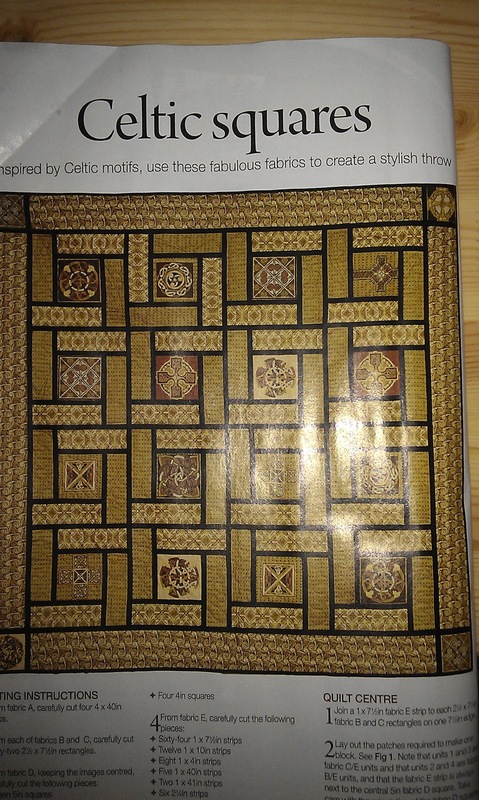 And I was delighted to see this quilt in my issue of Popular Patchwork which came out today. The square outlined in yellow is twisted the wrong way! 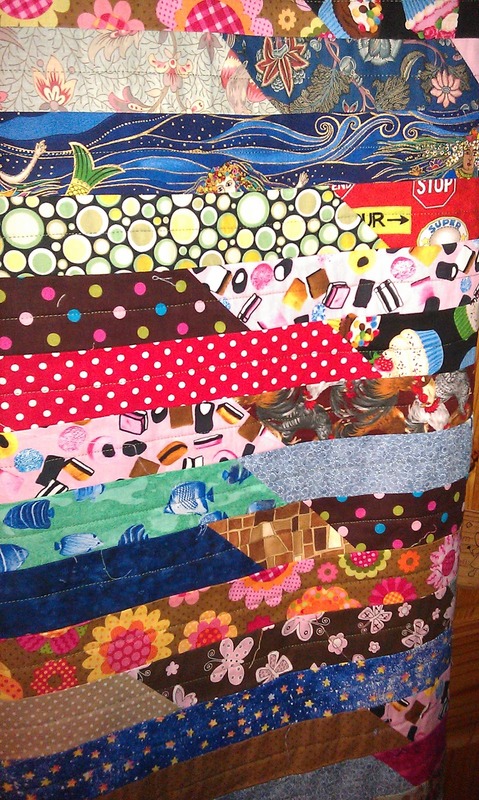 I think there's and Amish quote "Only God is perfect" and deliberate mistakes will be left in quilts. In a way its good to leave a mistake in a quilt, but we still stress when a quilt doesn't go right. Oh you eagle-eyed thing you! So glad you found a Henry! Also glad to be reminded everyone makes mistakes. I love the saying 'better finished than perfect' ! 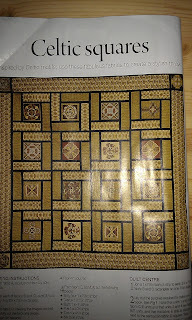 I remember my mom tought to me about those expensive handmade carpets that the beauty and unique of them is that you can always find some 'mistakes' because they are handmade! 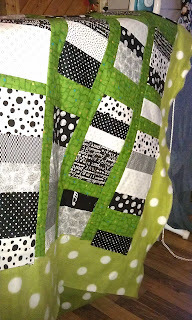 Well done on "finding" a Henry, and the green and black quilt is lovely. Glad you got some sewing done it is always a good way to get rid of stress. All good for your sewing, then! well done! 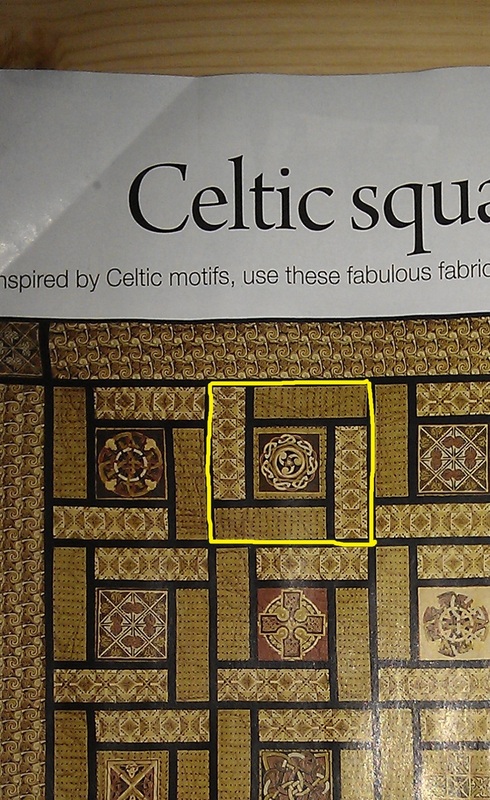 And well done for spotting the error on the pattern photo - we've all done it, haven't we? !